Yesterday I went to London with my dad. It was a spontaneous trip and we had a lot of fun. 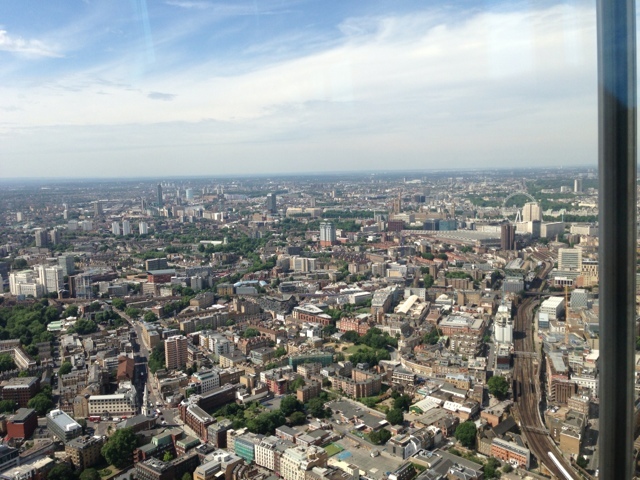 In the morning we went up the shard. The lift was incredibly fast. When we were in the lift to get to the viewing area my ears needed to be popped as they would if I was going up in a plane. 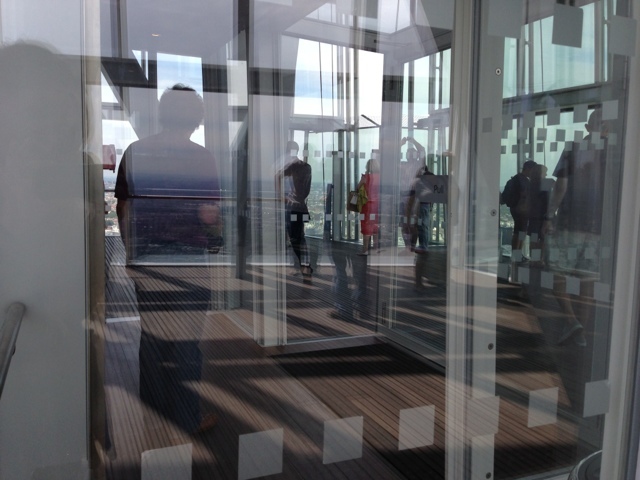 The design of the interior of the shard was very sleek and modern I liked all the glass on the inside. I like the picture above because you can see all the glass and he reflections and its quite confusing to see where people actually are. 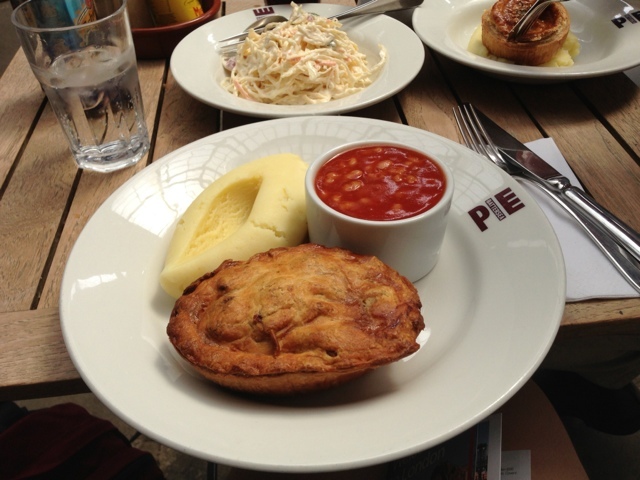 After the shard we went to covent garden and had a pie. I had a butternut Sqaush and goats cheese pie, the pie was good but no where near as good as a pie and vinyl pie. The mash potato was very yummy and so was their coleslaw. We sat outside but I liked the inside of the pie shop, dad said it looked like and old fashion public loo with the white brick tiled walls. I like all the shops in the area "under" covent garden as I think the curved ceilings give them a lot of character and make them very cosy. After pie I got a little snog with strawberries and Oreos. 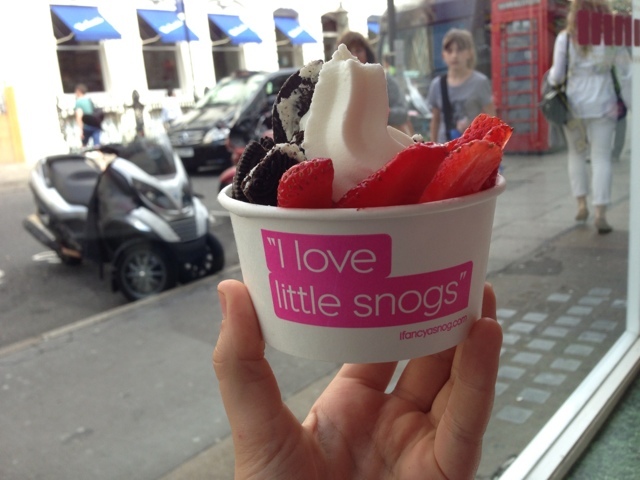 Whenever we are in London I ask if we can go to the snog in covent garden. The ceiling has coloured lights which change. And the flooring is tiles that look like grass. It's like an enchanted modern woodland. Whilst in covent garden we bought lauduree macaroons which were battered by the boric bikes later in the day unfortunately. I took dad into an apple store because he likes the shops they seem to mellow him when we are shopping and I thought this would be a good idea as I had ideas about going to topshop oxford street later in the day and that is exactly the most parent friendly place. While we were in the apple shop dad decided to get Grace and I iPad minis! 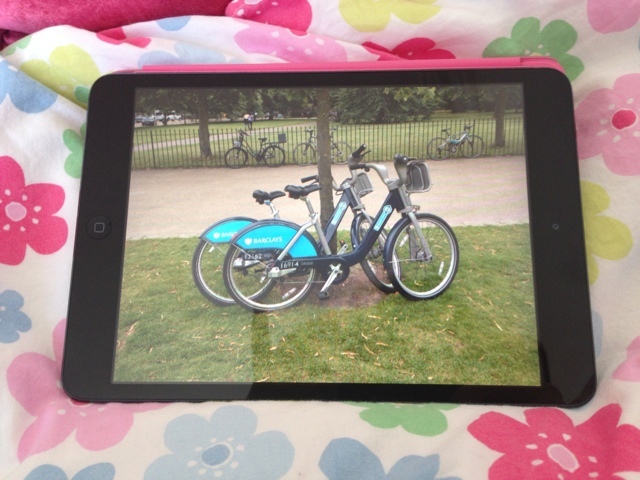 After covent garden we went to Hyde park and rode some boris bikes! Everytime we had been to London before I wanted to ride one but we never found a convient time. 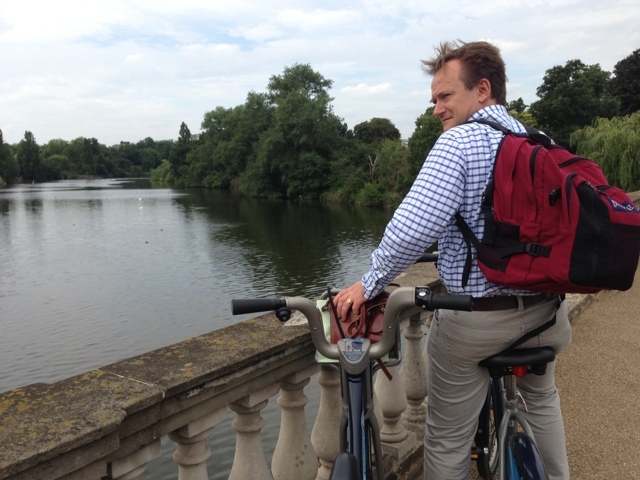 We cycled around Hyde park o. The cycle routes and it was really fun! After the boris bikes we went shopping. I got an embroidery kit from liberty it's a little I, and we got mum a tape measure covered in liberty fabric. Then we went to Topshop and I got a blue skirt with a sheer panel in it that I had liked for a while and tried on a few times and I got a pale pink satchel which is a nice medium to small size but will fit everything comfortably. After this we had dinner and got a train home. It was a really fun day!